This was the best part of the 2018 HR Technology Conference and Exposition. The panels were hard-hitting thought leaders and entertaining speakers with great insights. I think there was just as many men there as there were women. I love seeing you guys supporting women in HR tech. Next year AI will probably move ahead of employee engagement as the number one HR category exhibiting at the HR Tech Conference. However, many of the AI companies I spoke to have more of a rules-based system. Depending on how you define AI, there is room for growth in innovating truer AI applications. I loved spending time with Matt. We laugh, debate, think—repeat. 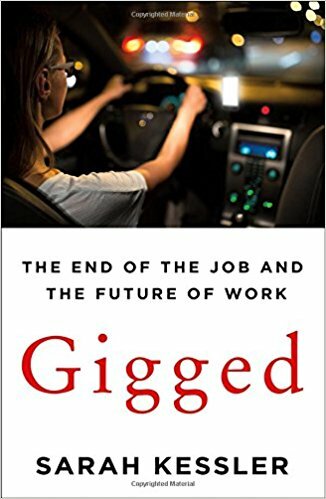 I just finished the book Gigged: The End of the Job and the Future of Work by Sarah Kessler, which spotlighted the success and failures of gig companies. Managed by Q was a company highlighted in the book. It was a great surprise to meet Emmie Warren exhibiting in the Startup Pavilion. As the SHRM Manager of Public Affairs, Mary was the hardest working person at the conference. She kept the online conversation moving and spirited. Always great to meet with the journalist and editor for SHRM. The liveliest table was not on the casino floor—it was at a table at Tao. Jessica Griffin, Vice President of Global Product Management for Kronos, seemed to have the most knowledge of blockchain out of all the sessions I attended. I found a couple of companies that said they were on blockchain, but they are contracting it out. Next year it will be interesting to see if there is true adoption and the use cases that are presented. The boys are back together again! As always, they zoned in on the best new products and services, left us with great ideas, and delivered advice and lots of laughs. The Executive Vice President and Chief Talent & Leadership Officer at SAP, Jenny Dearborn, was the closing keynote speaker for the Women in HR Technology. She was entertaining, and we walked away with a list of action items. 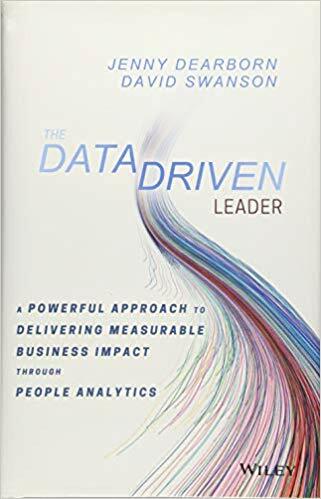 She also gave the attendees a copy of her new book: The Data Driven Leader. AI, the “experience”, globalization, and compliance are making HR systems more and more complex. Deloitte Human Capital Trends reported that 80% of all companies rate business as “complex” or “highly complex.” There were hundreds of HR tech experts on the exhibit floor and as speakers. All the other attendees must be driving their HR, product, and IT teams crazy with all the new information we learned. If I didn’t get to meet you at HR Tech, I want to get to know you. Connect with me on LinkedIn.